The city of Padua is the capital of the Italian Province of Padua. It is also the economic and communication hub of the province. It is usually included in the Padua-Treviso-Venice Metropolitan Area, a region with a population of about 1.6 million people. Thus said, it behooves me to tell you why you need to visit the city. Check out the list below to know why. Padua experiences the humid subtropical climate that is characteristic of northern Italy. The weather is further modified by the nearby Adriatic Sea. May, June, July, August and September are the summer months and thus the best time to visit the city. During this time, you will not be required to carry a lot of warm clothes. It is a time you can enjoy walking to the sights you intend to visit. Like all Italian cities, Padua has its own fair share of historical buildings and artifacts. They include; The Scrovegni Chapel, Palazzo della Ragione, Palazzo del Capitaniato, Basilica di Sant'Antonio da Padova, equestrian statue of the Venetian general Gattamelata and many more. You will have to visit the city for the rest. International tourists are advised to use airports in Venice, Verona, Treviso and Bologna and from there use a taxi, train or bus to get to Padua. Its own airport - Gino Allegri - is not currently used for scheduled flights. Padua has two railway stations that feature high speed trains that connect you to Milan, Rome, Bologna, Florence and Venice. However, the best way to see the city of Padua is on foot. For the business traveller that seeks to do business in Padua, you will find it a good logistical hub that boasts extensive railway network that can take your goods anywhere in Europe. It also has three truck terminals, great business hotels and efficient taxis. 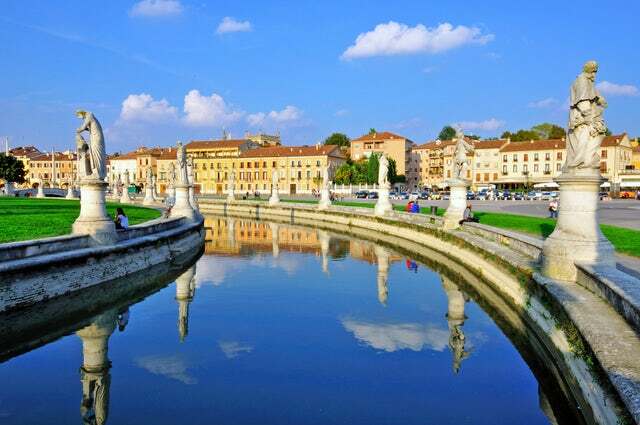 Unlike many of the cities in Italy, the city of Padua does not have an elaborate tourism scene and in a bid to attract more visitors within its boundaries, it has many tourists’ incentives as well as budget friendly hotels. If you want to sample some Italian culture without leaving a big hole in your pocket, this is the destination to visit. It also represents the authentic Italian culture since it has not been spruced up to attract tourists like other destinations.